Wanna save money on your rental? Refer a friend and receive $75 off yours! Are you looking for a Limousine Service or Party Bus for Prom? Well look no further! Here at Rockstarz Limousine and Party Bus we offer the highest quality vehicles for your High School Prom. Our Limos and Party Limo Buses are the newest in the Limo Industry. Rockstarz Limousine and Party bus knows how important Prom is for the young adults. Rockstarz offers the most competitive rates around and will match any price if the vehicle is of the same quality. Prom is a very special event Rockstarz Limousine knows that you may only get one time to go. This being said why take a chance on saving a couple hundred dollars on a cheap limo? Many people do make this mistake and instead of your Prom Party Bus being a night to remember it turns into a nightmare! 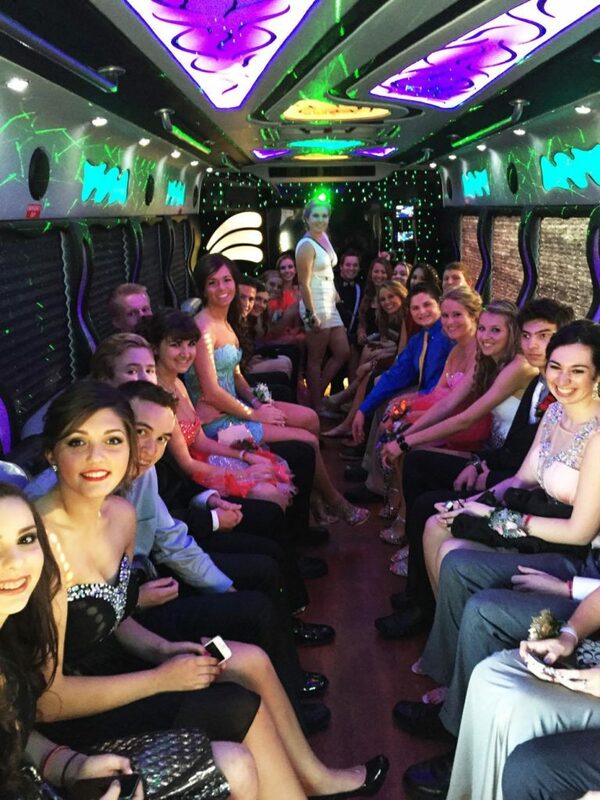 All of Rockstarz party limo bus and prom limos are MDOT certified and insured to the State of Michigan requirements. Communication with the parents is the key to success knowing that their children will be safe and will be provided with a verbal itinerary upon request to make sure everything is to there satisfaction. Any changes to this itinerary are always verified by the adult that is overseeing the transportation. • Is there a minimum time the Limo or Party Bus can be rented? • Can the kids bring bags on the bus? • Can we ride around in the bus? Answer: Yes you can although there will be a fuel surcharge for this. Normal quote is for pick up and driving to and from destinations. • What is provided on the Limo or Party Bus? Answer: All vehicles will come with cups and napkins, as well as a built in cooler filled with ice Beverages of any kind are not provided by Rockstarz. Limousine. • Can other kids come on the bus after the dance at prom that were not on the vehicle prior? Answer: No, not unless the parent who has rented the vehicle okays it. • What happens if the run goes into overtime? Answer: If the run goes overtime the signee of the contract will be charged per hour.